First — Mainers are veterans. Veterans comprise nearly 15 percent of our state’s population ranking among the very highest veteran populations of any state in America. Put another way, nearly 1 in 7 Maine adults is a veteran. Maine’s patriotism and commitment to service in our Armed Forces is nothing short of extraordinary. We must match with equal devotion, our commitment to them. They served us, we must now serve them by remembering them and taking care of our living veterans. I hope this memorial can help tell the stories of a generation of brave Maine veterans who did not return home but whose service and sacrifice must never be forgotten. This is a story of our generation of Maine servicemembers — a story that needs to be told. The Summit Project gives us an opportunity to say to our veterans you did your job. You served with honor. You made us proud. We are connected to you and continue to learn from your example. We are inspired by you because we took the time to learn about you. We do not forget you. 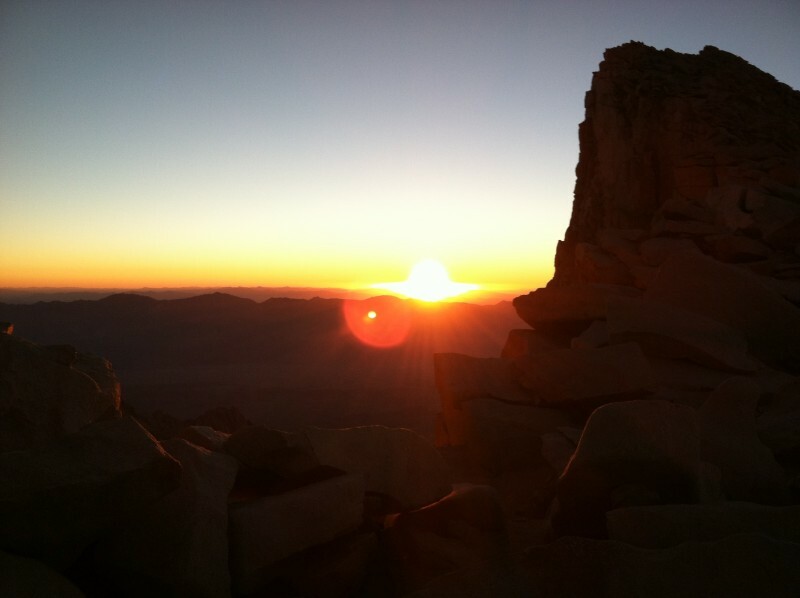 Second — With an elevation of 14,505, Mt. 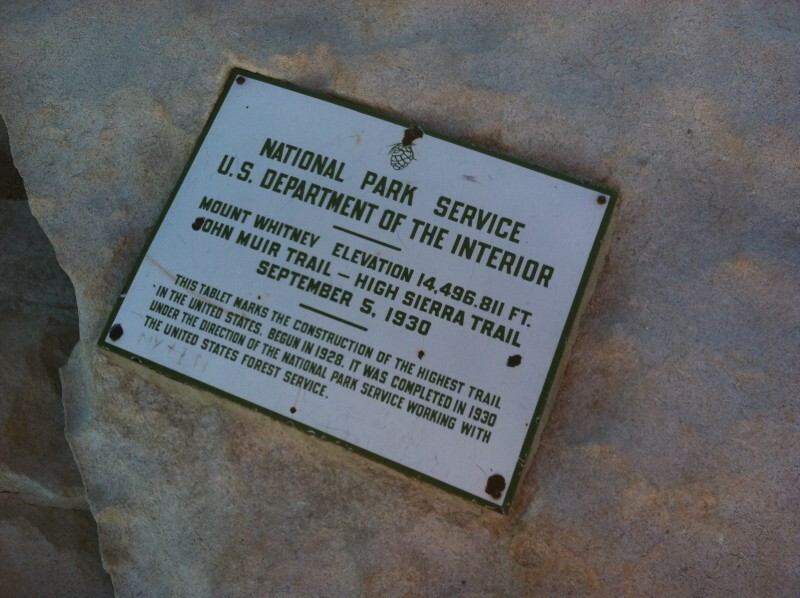 Whitney is the tallest summit in the contiguous United States. By happenstance, I was invited to hike that peak over Labor Day weekend 2012 during my graduate studies in Monterey, California. I coincidentally walked into the NPS’s Trident Room (our Officer’s club and lounge where I would watch Patriots games) while an annual planning meeting with some Navy SEALs was in progress. 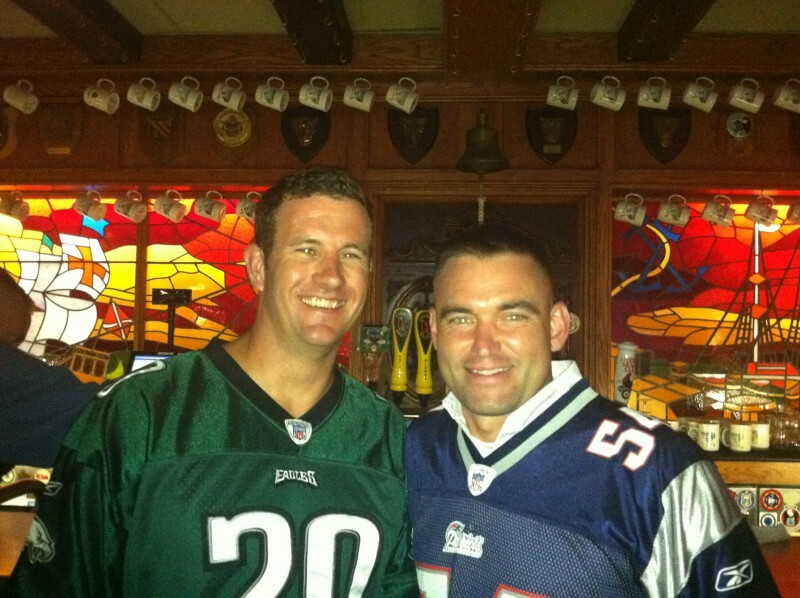 Those trip leaders were friends of mine, classmates from USNA and NPS. I told them Whitney was always a goal of mine, they had an extra spot on their SEAL-only hike, invited me to join, and just like that I was on the trip. 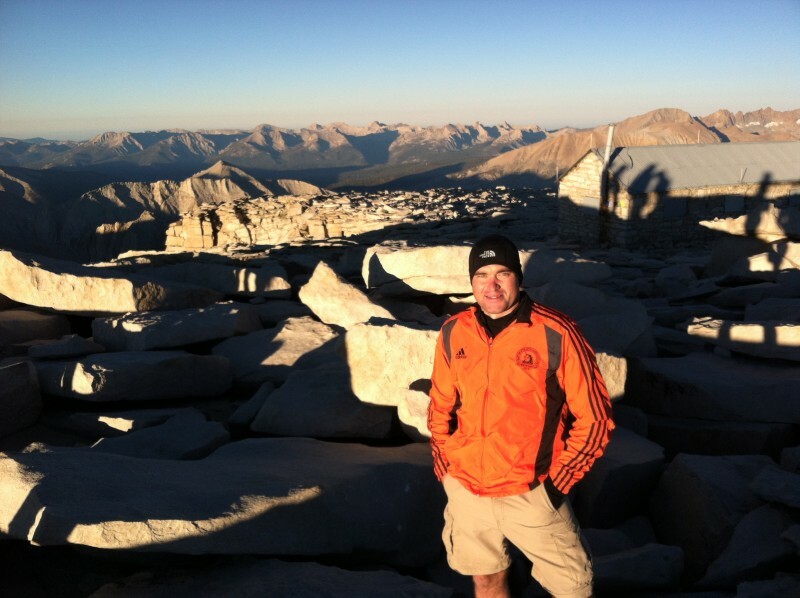 The one way distance to the summit is over 11 miles, and we ascended over 6,100 feet in elevation change from Whitney Portal. 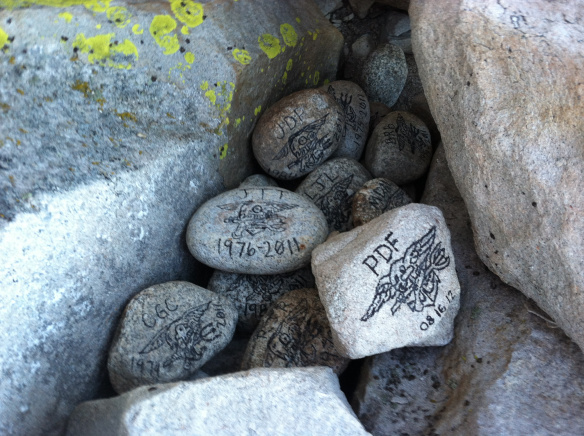 Starting at midnight, we reached Whitney peak around sunrise and unbeknownst to anyone else, the SEAL hikers had carried within their packs, ten pound stones to honor their own fallen brothers, a new rock for each fallen SEAL within the past 12 months. The SEALs placed the stones in a secret crevice on the Whitney summit and I barely had enough time to snap a photo before we began our descent. That image remained burned in my mind for about a full year until I had an idea. Ever since that hike, and coupled with Maine’s commitment to serve, I’ve been inspired to honor our own fallen Maine heroes with memorial stones but to also make The Summit Project a living memorial to help build and bolster community. I wanted to allow anyone to participate in TSP, and honor the fallen through meaningful action, community involvement and physical exertion. I wanted to capture the stories of our fallen heroes, but I also imagined the meta story of the travels that each stone would take as countless hikers carry it to help keep our heroes’ memories alive. TSP has truly become a living memorial where we carry their stone for a hike, and we carry their stories for a lifetime. Our surviving family members know their loved ones are not forgotten. I remain thankful to CK for pulling me on that Whitney hike and remaining a great friend. I also remain thankful to the service and sacrifice of all Maine citizens who have worn the cloth of our nation, and I am thankful to everyone who has been, and continues to be part of this living memorial. Who knows where the future years will take TSP. Our mission has been remarkably successful but is never fully complete. There is always more we can do to build community, help others, honor our heroes, improve our relationships with our neighbors, shrink our state to one family and carry on the unfinished work of our fallen heroes toward creating a safer, sounder, more just America. TSP volunteers have told us that carrying these stones has helped them understand what it was like to serve, what it means to serve and what it means to sacrifice for something greater. Our act of solidarity and the alignment of our efforts toward the summits in Maine and other mountains across the world will reinforce the values that all Mainers hold dear – we look after one another, we remember one another, we take care of one another, we are faithful and we lift each other to higher places – literally and figuratively. In the decades to come, as hikers continue to summit mountains in Maine and across the world, I hope they learn about this living memorial. I hope their curiosity will lead them to carry a stone and learn the stories of our service members who they may have never met, who fought a war they might not know, whose courage, integrity, character and dedication can continue to inspire and influence generations to come. In that moment, on a mountain in Maine, or a peak in a far off land, we will know that the legacies of our fallen Maine heroes has endured and their ultimate sacrifice is not in vain and will never be forgotten.